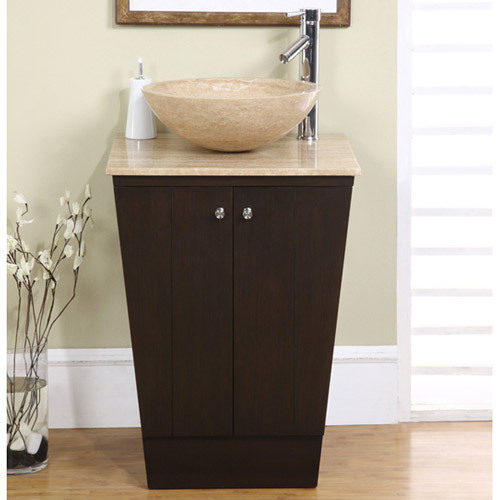 The Sellano Vessel Sink Vanity offers a contemporary minimalist style without sacrificing a sophisticated look. 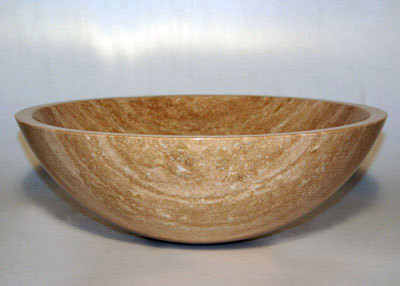 It easily fits in with contemporary or traditional decor. The counter top is Roman Vein-cut Travertine, which is pre-drilled for vessel sink installation. 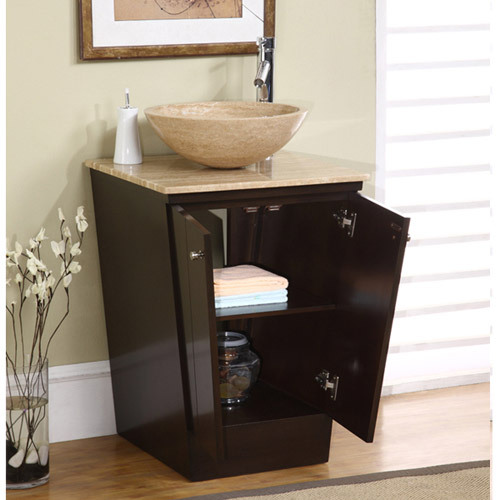 This vanity may be ordered without the matching Travertine vessel sink. Behind the double door cabinet, you will find a storage space with shelving. The Sellano is easy to coordinate with different bathroom designs and features a lot of versatility.